All types of Malpractice claims, including but not limited to misdiagnosis of cancer, wrongful death, failing to diagnose conditions, strokes, paralysis, emergency room misdiagnosis, nursing home negligence. Motor vehicle collision involving vehicles, truck and pedestrians. Discrimination in the workplace including but not limited to sexual assault/harassment, wage and hour claims. Gender discrimination, including sexual harassment, race, age, religion, heritage and/or language discrimination. Appeals of social security denials and filing of social security claims. Misdemeanors and felony charges in State Courts including New Hampshire and Massachusetts, involving assault and battery charges, sexual assaults, intoxication, Assault and Battery with a Dangerous Weapon and cases involving drugs and shop lifting. Any unauthorized use of material herein is at the user’s own risk. 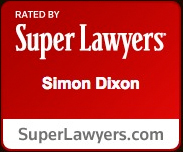 Transmission of the information and material herein is not intended to create, and receipt does not constitute, an agreement to create an attorney-client relationship with Dixon & Associates or any member thereof. Contacting Dixon & Associates does not create an attorney-client relationship. Please do not send any confidential information until such time as an attorney-client relationship has been established.